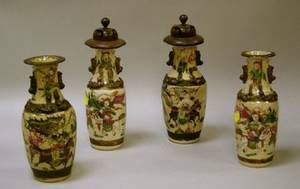 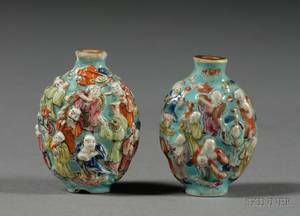 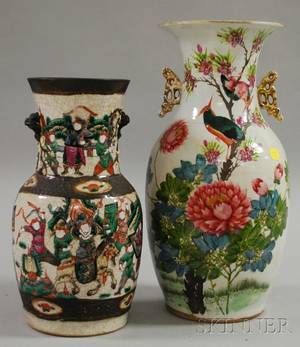 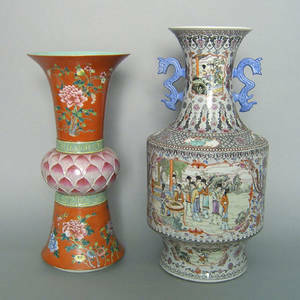 Two Chinese export porcelain vases, early 20th c. , 14" h. and11 3/4" h., together with 4 Coalport plates, 10 1/4" dia. 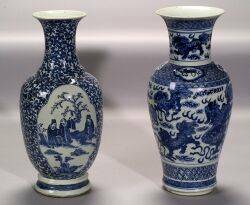 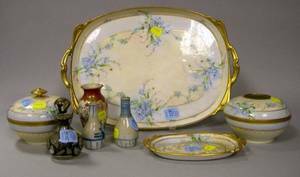 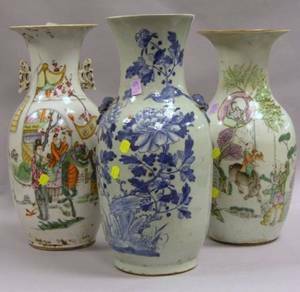 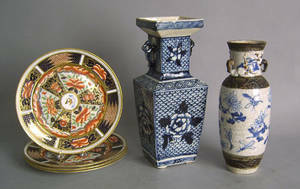 Two Chinese Export Porcelain Vases and a Chinese Porcelain Blue and White Floral Decorated Vase. 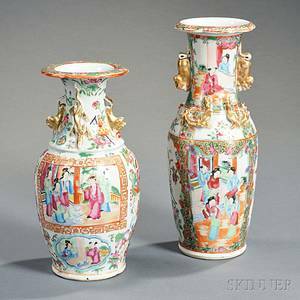 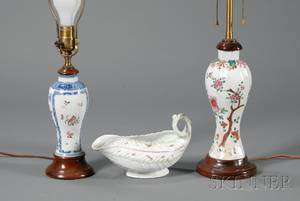 Two Chinese Glazed Porcelain Vases and Thirty-seven Pieces of Japanese Export Porcelain Teaware.